South Africans are gearing up to go to the polls for the national election on May 8. However, there are special concessions for those who are unable to vote on the designated election day. The Daily Vox explains special votes. What is a special vote? With a special vote, registered voters who are unable to vote at their voting stations on election day can vote on a predetermined day before election day. When is this â€˜predetermined dayâ€™ when the special vote will take place? 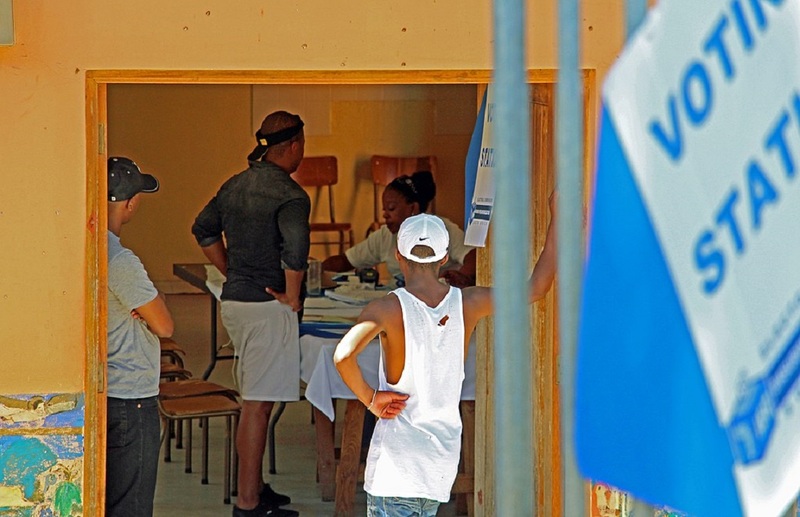 While the national and provincial election date is Wednesday, May 8, for the rest of the country, special voting will take place on Monday, May 6, and Tuesday, May 7. This is according to the election timetable. The law says that special votes can only be cast on the dates in the election timetable. This is fixed, no exceptions can be made. Which specific groups of people qualify for a special vote? Firstly, you have to be a registered voter. Check if youâ€™re registered here. Registered voters qualify for a special vote if they canâ€™t travel to your voting station because you are pregnant, physically infirm, or pregnant. You also qualify if you cannot vote at your voting station on election day. Is it true that Muslim people can qualify for a special vote? Muslim South Africans will be possibly be observing Ramadan from Tuesday, May 7, depending on the sighting of the new moon. This is a day before election day, meaning that Muslims will be fasting, going without food and water from dawn until dusk, on election day. Hundreds of Muslim electoral staff will also be working from 7am to 9pm on election day. Following concerns from the Muslim electorate that the holy month was not considered in the decision on when to hold elections, the Muslim Judicial Council (MJC) met with the Independent Electoral Commission (IEC) to discuss considerations for Muslim voters. The MJC has confirmed that the IEC will assist in facilitating opportunities for Muslim electoral staff and polling agents to pray at each polling station. They will also be given space to break the fast at sunset, where possible. Should Muslim voters find it necessary, they will also be allowed to apply to cast a special vote. How does a special vote work? Just like with regular voting, voters will be able to cast a special vote at their designated voting station between 9am and 5pm on May 6 or May 7. Following normal processes, voters thumbs will be marked with ink and recorded on the voters roll with an â€œSVâ€ to indicate a special vote was cast. IEC officials will place marked ballot papers in an envelope and drop it in a secure ballot box for special votes. How can people apply for a special vote? Applications to cast a special vote are open between 4 and 18 April 2019 only. There are various ways to apply: online via the website; by SMSing your ID number to 32249 (for special votes at a voting station ONLY); visiting your local IEC office (not the national or provincial offices) and submitting a VEC1 form. These forms must be hand-delivered (no emails or faxes accepted), but someone else can deliver your completed form on your behalf. The IEC will SMS you notifying you of the outcome once your application has been processed. You can also check the status of your special vote application online. Can I apply for a special vote by home visit? If you are physically unable to travel to your voting station on election day (because you are pregnant, physically infirm, or disabled), you can apply to cast a special vote by home visit. You can apply online; or by having a family member or friend visit your local IEC office (not the national or provincial offices) and submitting a VEC 1 form on your behalf. (As usual, forms must be hand-delivered). I have applied and been granted special vote because I will be on holiday on 8 May and cannot vote at my registered voting station. Where do I cast my vote on 6 or 7 May?